The ONECLICK movement is designed to reach out to the social media world with the Good News about Jesus Christ through the use of technology via advertising, video, blog, facebook, twitter and any other social media device or avenue. Please keep this is prayer. Thank You. The above video is available for Download! 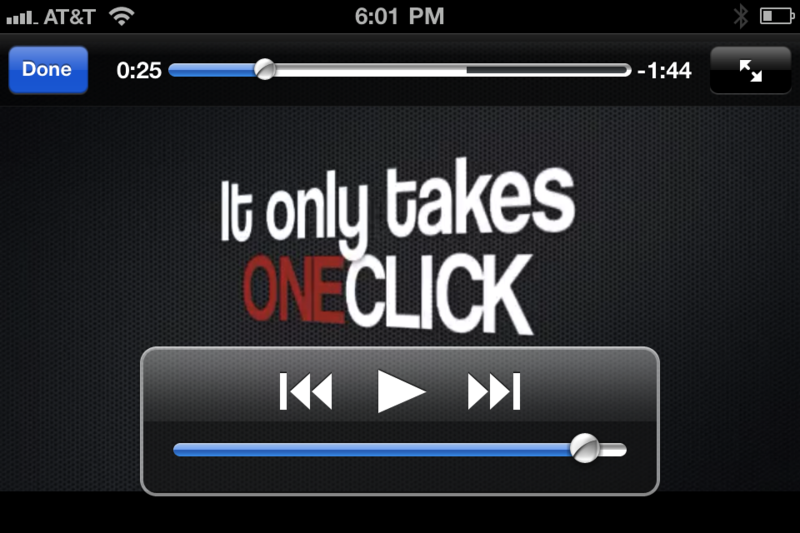 Simply scroll over the video under the share tab and click download! Let us know how you are being used ONEClick at a time!